At Three Arrows, we have achieved an integrated production system whereby all aspects of production—planning/design, production, distribution, delivery, and inspections—are performed by the one company. Using this know-how, we have successfully realized a maximum reduction in costs of around 30%. We firmly believe that, if this enables the retailers who are our trading partners to provide high-quality products at low prices, it will lead to tremendous happiness for end-users. This original Three Arrows down-wear brand is produced using special down washed and purified in Japan. The down used in these products is carefully selected 100% high quality waterfowl down, which is thoroughly washed using advanced technology and equipment in Japan. This clean, pristine down undergoes antimicrobial and deodorant finishing (indicated by the reliable SKE symbol), completing removing the smell particular to down, as well as dust and gases, to create this special down. ® down is the brand name for products creating using the highest quality white down with a down composition of 90% or higher and a fill power of 750 or higher. Incidentally, in addition to Three Arrows, the high-quality down feathers produced by this factory in Japan is used by major outdoor apparel brands and high-end zone down-wear sold by specialty stores. Available from our Internet shop, this character brand centers on Usagi-Koala-kun®, a rabbit-koala creature living in Usa-Koala Land. In the future, we will be broadly expanding this area of our business, introducing these characters via the Internet and making merchandise and limited-offer items available for sale. We will be gradually introducing character family members and friends. Targeting families, this character brand is designed to appeal especially to mothers and girls aged from elementary school through high school. Three Arrows’ blouson items—especially padded and down products for autumn and winter—are made using highly functional materials. Standard functions for Warm EX® and Lighty Max® are high wind protection, lightness, breathability, and water resistance. In addition, these products are not only very comfortable to wear, but they also undergo surface luster enhancement processing so that appearance-wise, they are also distinctive from other brand’s products. 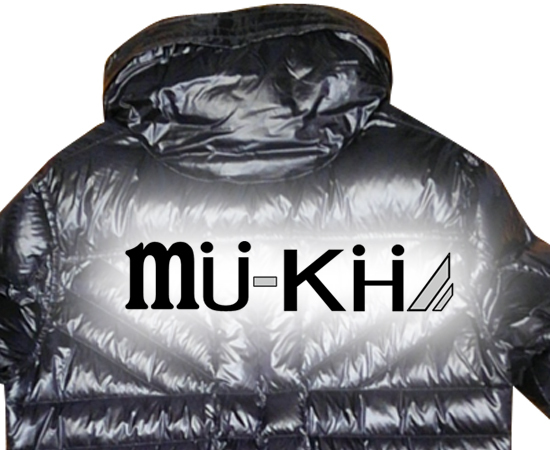 WEAR BRAND "MU-KH® //Wear Brand MU-KH is a one-favorite-item concept encompassing clothing items with an added spicy touch of trendiness that are attractive, easy-to-wear, and perfect for heavy-rotation use. Based on the concept of coordinates for adults, the MU-KH® brand incorporates British urban street and military styles. 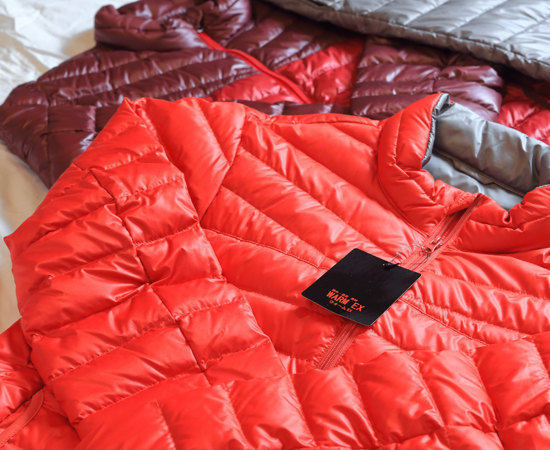 Adopting the Slash W Line as the brand’s one-point logo and special quilting designs, the brand also casually incorporates the latest technologies.